What started as reading books to my children grew into writing stories to develop their imagination. This became a story time area for children in my home. I called it ‘Never-ending Stories’. From that humble beginning I decided that I wanted children to be able to create their own pictures in their minds and I decided to record the stories I had written. And so Never-Ending Stories audio-books and stories was born. 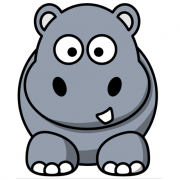 Never-ending Stories aims to encourage children to grow up with a love for reading and books. Lesley was born with cerebral palsy (right hemiplegia). She was mainstreamed at the age of 12 into a ‘normal school’. After school Lesley completed her teaching diploma and qualified to teach primary school. After a few years of teaching she left the profession to focus on raising her 2 boys. During this time she set up a story time area for children in her home called ‘Never-ending Stories’ using characters to focus on various levels of reading. This grew into the audio stories that Lesley wrote and recorded. In 2010 Lesley suffered a stroke. This has not stopped her finding ways to develop children’s imagination. When children are exposed to the magical world of stories they are never alone. Stories expand the imagination and vocabulary. If a child is introverted, shy or uncertain reading often helps them to cope with emotions that they find difficult to identify but can often observe in the realm of stories. At school it is often easy for a teacher to separate those children that have been exposed to language from an early age from those who have had little or no exposure at all. To further strengthen children’s love for stories and storytelling I have written a selection of stories that I have recorded professionally onto CD. Listening forms an integral part of reading and these stories allow children to listen and play at the same time. Each story is about 20 minutes long. The language is designed to extend the listeners vocabulary. The CD’s are for ages 4-10. Questions at the end of each story are there to test there comprehension of the story. In some of the stories there are activities that can be done with the parent and form an extension of the story itself and also help the child draw from their own experience. Developing a love for books and stories allows children to share with others and explore their emotions safely. Sometimes being able to identify within a character makes it easier to cope with their situations in their own lives. The CDs are aimed to enhance listening, comprehension and enjoyment. In today’s world children are bombarded with images and often not expected to think for themselves or use their auditory skills. Never-ending News is an extension of Never-ending Stories. It is a monthly 1-page newsletter that provides an opportunity for children to spend some quality time with their parents while working on activities related to the theme of the month. There is a strong focus on developing language skills. There is also an update on what is happening with the characters that live in the bookshelf at Never-ending Stories. Never-ending News arrives in the post or via email and is addressed to the child. This builds a level of excitement and anticipation. The Newsletter is aimed at children from pre-school to Grade 3. 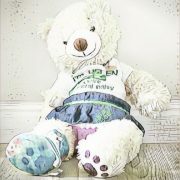 Aware Bears aims to create an awareness of Cerebral Palsy and improve people’s understanding of the challenges people living with CP and their families face. We also aim to change the perception of what people with disabilities are capable of. We highlight and celebrate the achievements of those living with Cerebral Palsy and other disabilities.